When that day arrives, these are your options. Your teen will probably want you to leave them at home – but this isn’t an option at all, if they’re under 16. It’s an offence to leave a child alone if it places them at risk, and you could be prosecuted. So, however much they beg you to do so, do not leave your child at home without an adult while you go on holiday. Especially because they’ll probably have a house party for all of their friends and acquaintances while you’re away, and your home will never be the same again. See if you can find a kind friend or relative to look after them while you go on holiday. This can be at your home or at theirs, but it needs to be an adult who you trust to be responsible for your child, and who can cope with teenage truculence. Take them with you anyway. If you’re going for the third option, because you feel that you’d actually like them to come on your family trip, or if they have to come, because there’s nobody else to look after them, I have some strategies which may help you. Involve your kids in the planning of your trip. Don’t just book something without talking to them about it. It’s their holiday too, so be prepared to compromise, and take the time to find something which the whole family will enjoy. It’s unlikely that all of the family will be happy all of the time, but if everyone’s happy at least some of the time, you’ve picked the right holiday. If they’re passionate about something, see if you can include an element of it in your trip. My son loves football, and so we’ve been on some football stadium tours on our travels and we’ve also stayed at places where there’s football coaching on offer. When my daughter was thinking of studying medicine, we went on a tour of a medieval operating theatre in Bologna on a summer trip. Suggest that your teenager invites a friend or a cousin to come along with them on your family holiday. They’re likely to be happier with a friend to keep them company. Our then 14 year-old stopped saying that he was never coming on holiday with us again once we invited one of his mates to come with us on our summer holiday. Get a house-sitter to look after your home while you’re away. Your teen won’t want to stay at home with a stranger there. Bribe them. Offer them an allowance or reward for each day of the holiday, as an incentive to come along. You could also set conditions with this – maybe offer one rate for being there and a higher rate for being there and not being stroppy. Give them some independence and privacy on the trip. Don’t try to make them be with you all the time if they don’t want to (you are very annoying to them at this stage, after all). Remember that this is just a phase in their development. They’ll get through it – and so will you. Do you have any more tips to add? Has this happened to you? I have a well-thumbed copy of a book which I’ve found invaluable for the teenage years, and which I’d definitely recommend. It’s called Blame My Brain: the Amazing Teenage Brain Revealed , and the author is Nicola Morgan. This book really helped me understand the science of what’s happening in teenagers’ brains, and the resulting behaviours. Disclosure: This post contains some affiliate links, which means that if you clicked through and bought something I may receive a small commission. All opinions, images and words are my own, as ever. I’ve read this blog before but just re-read it as I find myself at the stage where my teen wishes to cancel on us just 5 days before departure. A holiday which she was so keen to go on! Huge crisis unfolding. The challenges of teen parenting are so vast. Oh Janet, I’m so sorry. I hope that things work out for your holiday. I agree – I’m finding the teen years the hardest parenting stage so far. These are great tips! Our 13-year-old still enjoys going away with us but definitely likes to take a friend from time to time, especially now that her sibling is off at uni. You also discover how they like to spend leisure time with their friends and eavesdrop on their gossip — bonus! That’s very true Jen – having a friend along on trips definitely works well for our son. Thank you for your great advice! My little girl is 3 years old now, but I know her teen years are coming and I think it’s going to be harder than I think. Great post! Good job! thanks! Great advice. Thankfully through this stage and now hoping they’ll soon be inviting us to go with them on their travels (dream on)? Ooh, now that sounds like a good stage to be at! This is SO relevant to me right now. Our eldest has asked to stay at home. Cant imagine why he wouldn’t want to hang out with a pair of near 50 year olds who say the word ‘groovy’ just to embarrass him. You have my sympathy! I hope you can talk him round. Oh I’m really not looking forward to this! I know it’ll come, though. I think your tip about letting them help plan the holiday, is key. I used to hate going away with my family, but I remember going o a friend’s house, where they started planning their holiday, all together. They even asked if I wanted to come too, and if so, where I’d like to go! (sadly I wasn’t allowed….) It really impressed me at the time. This is brilliant – although while I’m sure they’ll get over it, I’m not sure I will……(PS Totally agree that you need to do stuff they enjoy. We try to involve the kids far more in the planning of our holidays these days). I know, it’s a hard phase for us parents, isn’t it! It is a phase that passes, definitely – our 18 yo tells me she’s firmly committed to family hols, at least until she finish Uni! Fantastic tips Gretta. 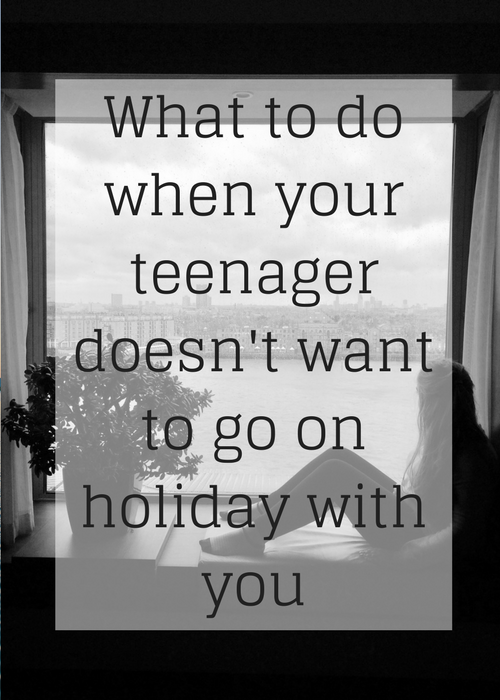 We have a few teens in the house and the family are finding the same struggles with getting them to agree to go away etc. I think the first tip of getting involved in the planning stage is so important. We have found that having an activity that they will enjoy leads to much less reluctance. We have also found group travel with the extended family to really work. My older niece and nephew love taking the kids with them and it really occupies their time. I’m luckily still at the them loving to travel with me stage, long may it continue! I’m so so glad he does still want to be with mummy!! I’m also glad that you’ve warned me of what’s to come! Great suggestions and I will try very hard not to take it personally!! Try! Mine are still in the ‘I want to go everywhere with you phase’ and long may it last! Thanks for the tips – will keep them in mind! I remember those days – sob! OMG I’m in the little kids who love me stage. I will be soooo sad when the day comes they don’t want to travel with me. I have read your helpful hints just to prepare myself. My kids are so great to travel with and I shall enjoy it as long as I can. Awww, don’t worry Shobha, they all get through it – and maybe yours will never find you embarrassing at all! 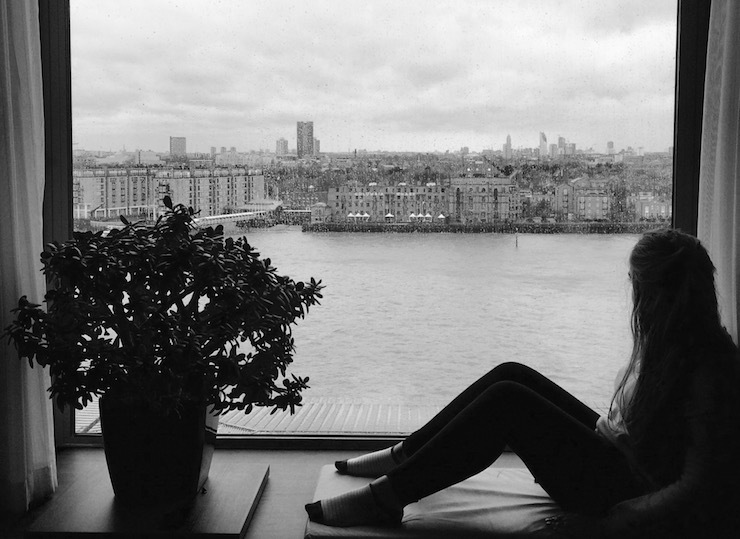 My daughter’s 18 now and she’s definitely through that stage, and loves travelling with us.